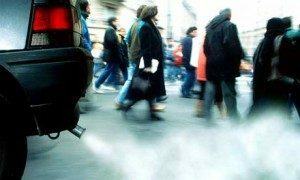 Vehicle owners with a car or other road-worthy vehicle in the United States may have to get a vehicle emissions test on a regular basis. There are 35 states and territories in the United States that require an emissions test for cars, trucks, and other vehicles. The frequency and type of emissions tests varies by state and not all municipalities in each state with vehicle emissions testing require residents to get one. Few states require all vehicles to test emissions on a set basis. In some states, testing is only possible within certain inspection areas, while other states offer statewide testing locations. Do I need a Smog Check or Vehicle Emissions Test? This is where things can get confusing. Some vehicles are exempt or do not abide by the same emissions testing requirements. These requirements are based off of a vehicle’s model, year, weight, and fuel type. There are other factors to think about as well. For instance, test costs, testing policies, guidelines, fees, penalties, testing locations, retesting directions, procedures, repair assistance for low income earners, and steps to dispute a test result. Most states have established standard fees. But, there are some states that allow the emissions inspections service stations to set their own price. Feeling a little confused yet? That’s what Emissions.org is here for. We’re here to help vehicle owners sort it all out. Our site provides drivers with what they need to know so they can keep a car legal. Check out our Articles page to find the most recent information about emissions testing in your area. Keeping Your Car Legal with an Emissions Test? Wait? What? Keep my car legal? – Yes. In states such as California, Illinois, Arizona, and Colorado, if a vehicle owner does not have a smog check certificate proving their vehicle passed an emissions test for their vehicle an owner can have their registration renewal suspended, registration fees doubled, or the owner can be fined. If by chance a vehicle owner gets prosecuted with breaking the Federal Clean Air Act, fines are more than $45,000 per vehicle. Of course, this usually only happens to violators with large vehicle fleets. Most cities and county governments in states requiring vehicle emissions tests, work to stay compliant with the Federal Clean Air Act. The federal government usually identifies the cities and municipalities requiring emissions testing for vehicles as areas with high air pollution levels. These are places where vehicle exhaust emissions can be a problem and a big source of carbon monoxide, nitrogen oxides, and hydrocarbons pollution. These pollutants can affect such things as lung and heart health, cause cancer, and increase asthma rates. Pollution from vehicle emissions also leads to the creation of ground-level ozone and can pollute the water. So, if a vehicle owner does get fined, at least they can know why it’s against the law. They can also be assured the hard-earned money they fork over will go to cleaning that stuff up. Okay. So Where’s a Vehicle Emission Testing Location Near Me? To find out where to go to get a vehicle tested, and to get more information about general emissions testing rules and inspection site schedules, choose the state below for information about your local area. Or, check out our Locations Near Me page.